Keywords AT+CPOWD syntax, examples, parameters, error, input, response. 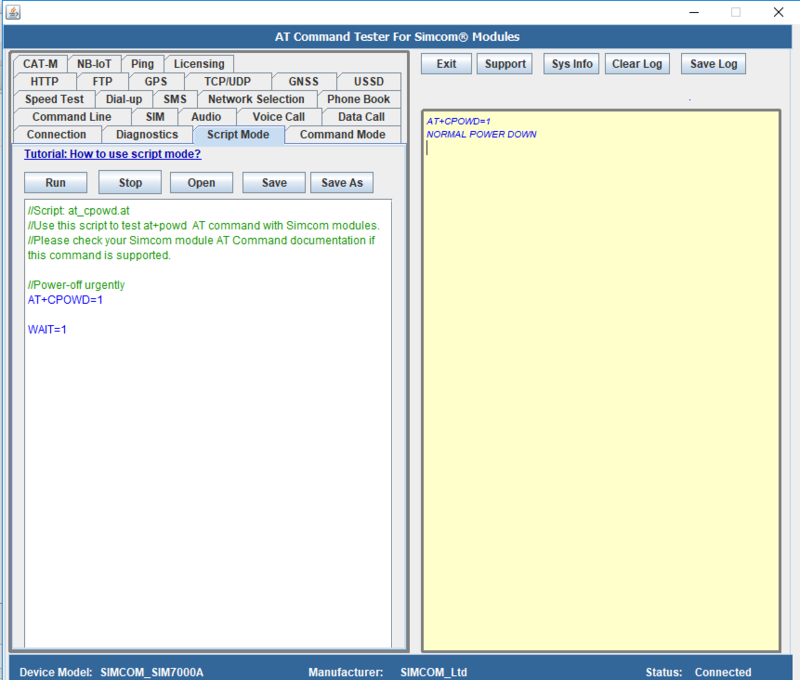 With AT Command Tester tool, you can AT+CPOWD at command. //Use this script to test at+powd  AT command with Simcom modules. //Please check your Simcom module AT Command documentation if this command is supported.